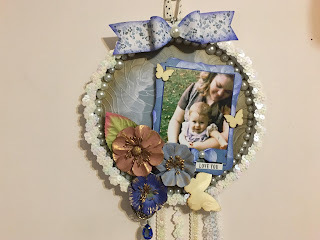 Welcome to the Craftwell Blog, Desiree' here!Today I'm sharing an altered embroidery hoop I titled "Love You", and it features the Bella Rose embossing folder by Craftwell it's just beautiful! The impression is SO on point! Plus I am just a sucker for Rose everything! 💕 I also used many things from my craft horde. You know, those pretty things that you try not to use! The kind I get guilt pangs for using! It's not only me? Right?! Well I used some of THOSE things! 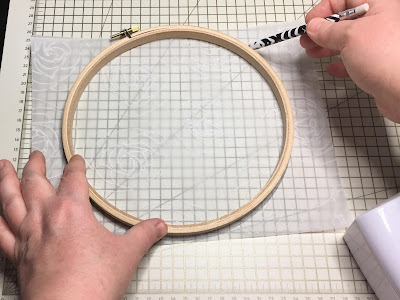 The first step in making this altered embroidery hoop, was choosing the papers, trims, embellishments, and the picture I was going to use. 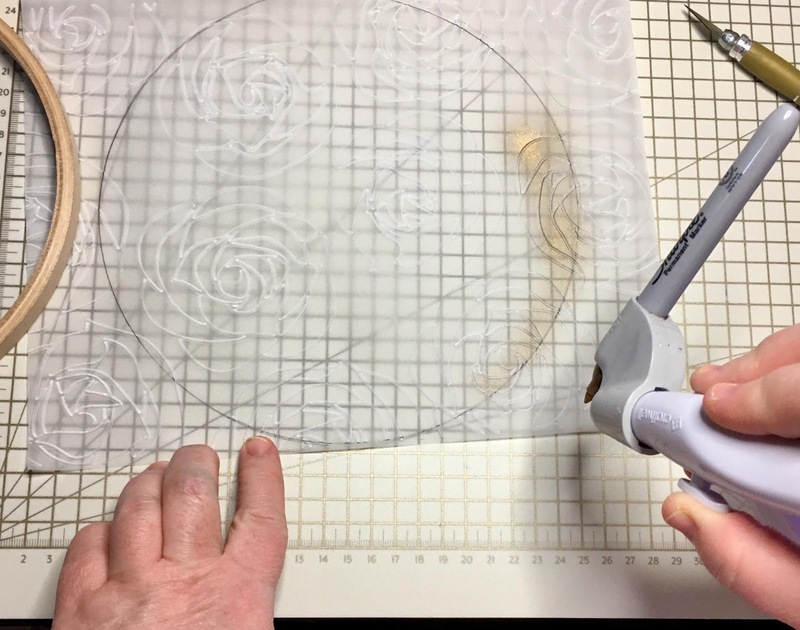 The next step was to emboss my vellum. 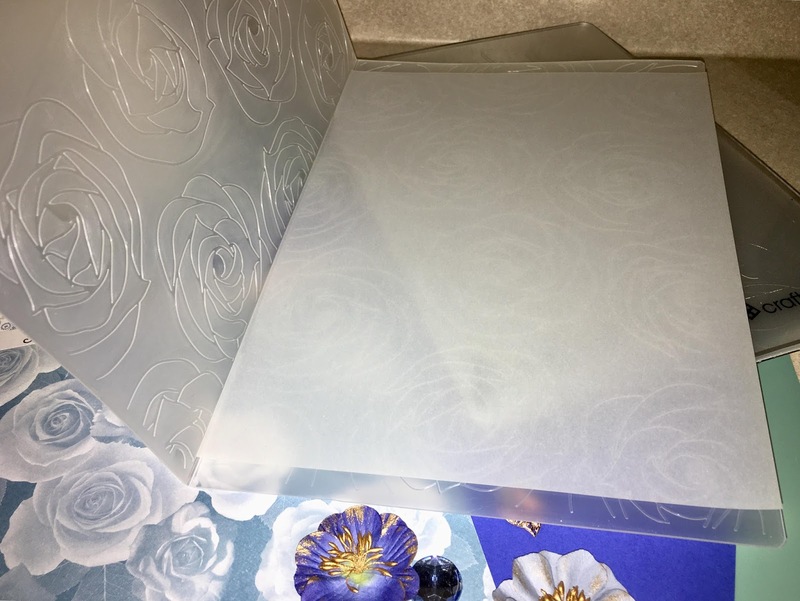 I decided to use the Bella Rose embossing folder because to me it's just gorgeous! shape. 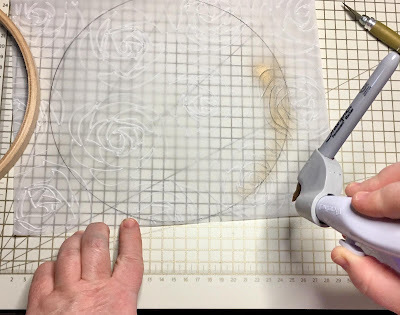 I trace around the outside of the hoop on both my vellum and patterned papers. Next I separated the 2 parts of the hoop. I covered them in gesso and let them dry. embossed vellum and adhered it to my patterned paper. I wanted to mute the paper a bit. That is why I chose to put embossed vellum over the patterned paper. I wanted the pic to pop! the edges of the bows and mat using my deep blue Sharpie. some of my ribbons and trims, so that they could hang down from the hoop. I then placed some cabochons and butterflies to the bottom of a few of the strands. The following pictures are the end result. I love altering embroidery hoops! 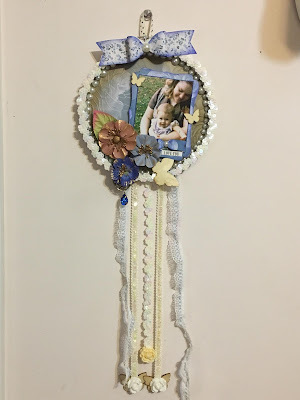 If you have not made one yet, I encourage you to give it a try! They are affordable and I warn you addictive to make, and so much fun! It is my hope that you liked what you have seen and that some how you were also inspired! Lovely. Nice color palette. Good balance of the"goodies." Liking the "tails" hanging down.